The image editor for all and sundry. Is there a better alternative to myPhotoEdit? Is myPhotoEdit really the best app in Image Editing category? Will myPhotoEdit work good on macOS 10.13.4? myPhotoEdit is the image editor for all and sundry. I've not written myPhotoEdit to have another Photoshop or Pixelmator wannabe clone. First of all - speed matters. 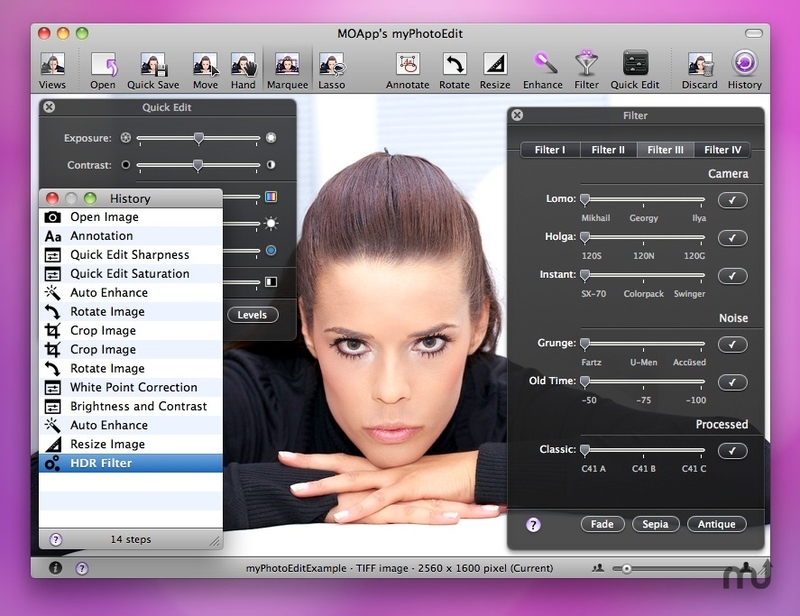 In the time Photoshop starts, you've already enhanced, cropped and saved one or two images with myPhotoEdit. Second - those tasks need to be as easy to perform as possible. myPhotoEdit is especially made to be flexible, very speedy and clear while doing common editing. And third - only because editing becomes a no-brainer with myPhotoEdit, this doesn't mean the results are ordinary. Quiet the opposite is true. With myPhotoEdit everyone can come up with world-class results in a blink.